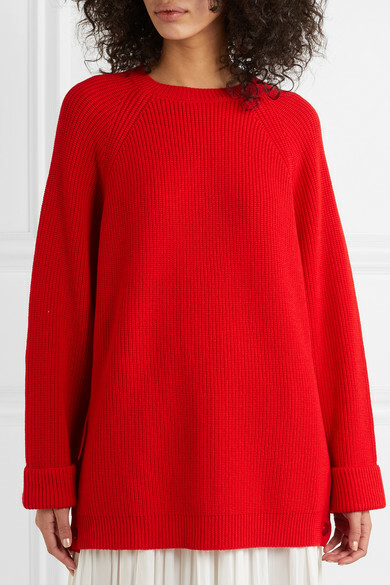 Spun from bright wool, REDValentino's sweater is intended for an oversized fit that'll feel so cozy when it's cold out. 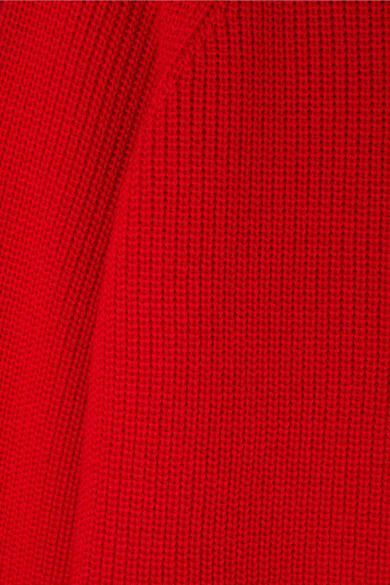 It's ribbed for a tactile finish and detailed with tonal buttons at the sides. 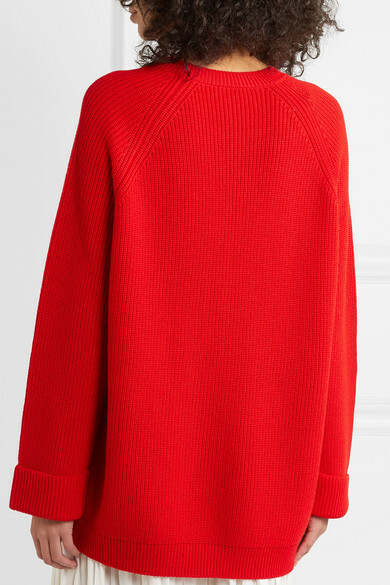 Layer yours over a turtleneck in a contrasting color. 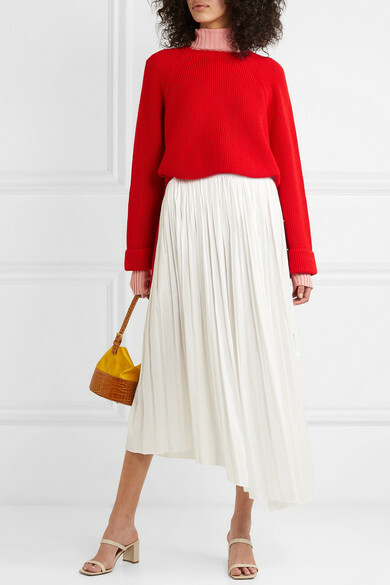 Shown here with: Isabel Marant Skirt, Victoria Beckham Sweater, BY FAR Shoulder bag, BY FAR Sandals.